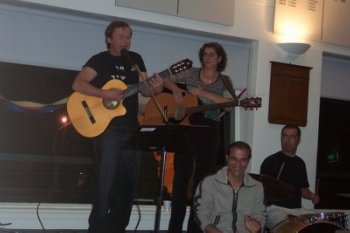 Seeing a performance by Chunky Move of "I want to dance better at parties"
Back row left to right: Marguerite Beaser, Pamela Kessler, Moshe Eskayo and Barry Friedman. 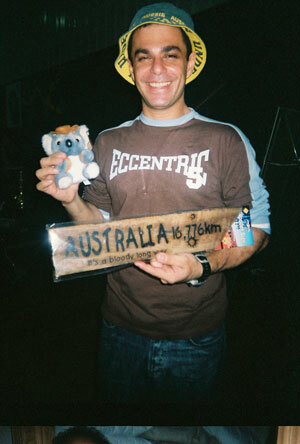 (Photo taken by David Feigenbaum). 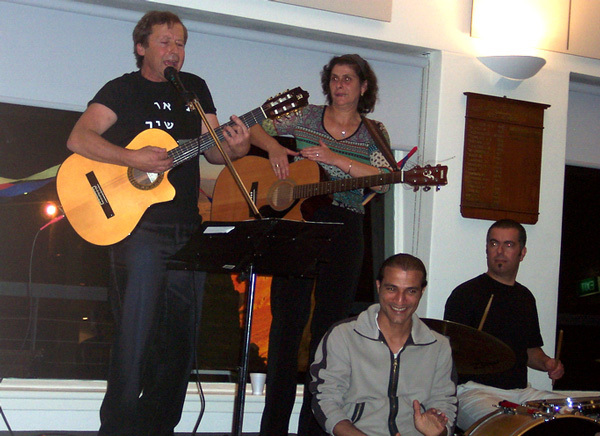 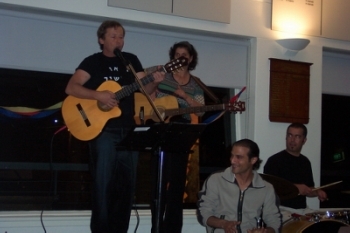 Left to right: Oded Gordon, Dalia Gurfinkel, Dudu Barzilay, Nissim Ben Salomon.